Lancashire-born pop-soul singer whose key period was from 1989-1997. During that era, she scored huge hits with "All Around The World", "Change", "Someday", "This is the Right Time" (with Coldcut), "In All The Right Places", "People Hold On" and "The Real Thing". 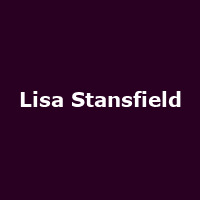 Her first four albums were all top-10 UK chart hits: "Affection" (1989), "Real Love" (1991), "So Natural" (1993) and 1997's: "Lisa Stansfield", followed by: "Face Up" (2001), "The Moment" (2004), "Seven" (2014) and 2018's: "Deeper".